It is no coincidence that this meeting excluded two of the major players thus far in the refugee “crisis”, Germany and Greece. Insult, hurt-feelings, and rage creates the perfect recipe for the next chapter in this entertaining tragedy, which is what the current crisis has become. In German-speaking Europe at least, the refugee crisis is daily on the front page of its national newspapers. Despite those who have responded to the crisis by attempting to reject refugees’ asylum process or entrance into the EU, the “crisis” has been supported by (indeed precisely because of) the entertainment commodification that the drama of these people’s lives play for us. We attend to the stories out of altruistic claims to interest in “safeguarding our economy,” or being “informed,” yet the truth is that it is a pleasurable entertainment that drives the intrigue, which generally goes disavowed. Disavowal is part and parcel of denial. Freud’s by now well-known conception of “denegation” (Verneinung, denial) points to how our denials teach us about our innermost desires. Freud’s interpretation of how his patients’ most fervent denials of particular desires signaled to the paradoxical reality that what was being denied was in fact that which was most fervently affirmed by the desires of the patient. The stronger the resistance to questioning on a particular subject, the deeper the desire. This theory of negation is applicable to religion. I could use a personal example to illustrate this point in regards to one cherished social imaginary most westerners implicitly hold today: the inherent value of multiculturalism. My own can’t-we-all-get-along-we-are-the-world mentality was tested two days ago. I teach Theology to refugees every week, and when I hang up my coat at the refugee center, at which over 75 people are usually present, I make a subtly unconscious decision as to whether or not I should take my wallet and valuables from my coat pocket, and put them in my pants’ pocket. We all know this experience, and some places test our sense of trust more than others. If at a dinner party a friend’s house we leave our valuables in the coat; if we are giving our jacket over at the coat-check at the theatre, we take those valuables into the play. This week at the refugee center I left my valuables in my coat pocket, which was hung on the rack, and forgotten. Hours later I returned to my coat, and my wallet was gone. All of the truth of my world-picture came rushing to the surface. I immediately sought justice, having amassed a team who would soon begin the interrogations of the attendees. Before canceling my credit/debit cards, my wife called to notify me that I had left my wallet in her purse the night before. After sharing this good, yet embarrassing news, a refugee chastised me for even thinking of leaving my wallet in my coat pocket, as the reality of many refugees is economic hardship, which primes one for thievery. I knew this anthropological reality, yet had blatantly denied it in favor of a myth of something that tasted like equality and a valorization of diversity; what I believed I believed. As soon as my false belief was put under threat by the thought that my wallet was stolen, the truth of my beliefs rushed to the surface. We often talk of beliefs that do not line up with actions; in this case, my actions did not line up with my most true beliefs. 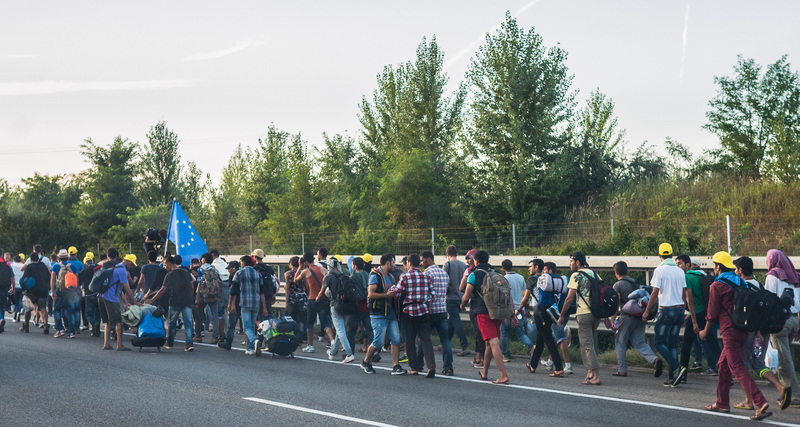 The European refugee crisis is challenging our most beloved beliefs about our beliefs. Instead of hearing its usually sublime four movements, the vinyl record of Beethoven’s “Ode to Joy” is skipping, repeating a shrill, horror-like screech. This crisis of beliefs may be the true “crisis” the West (especially Europe) is in right now. We had come to believe that we really believed the daydream of multicultural, multi-religious societies, hand-in-hand, and are now in a shocked stupor. The real crisis is not the refugees’ arrival, but what their arrival tells us about our most cherished and disavowed imaginaries, placing our own beliefs under investigation. 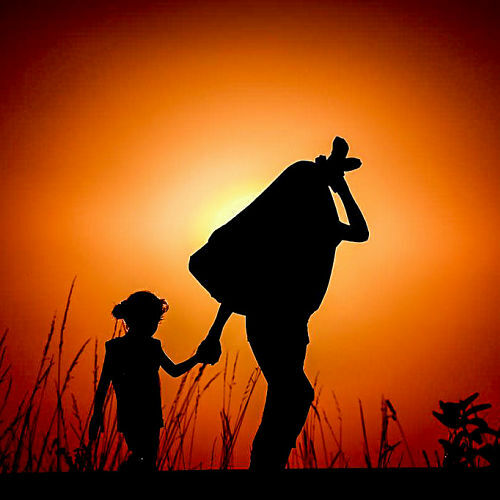 The refugees – they are named the crisis; but in truth, they are merely the provocation of how our ever-subtle metaphysical commitments do not line up with what we are committed to. In response, we name the refugees “the unacculturable,” as both the source of our belief, and the negation of it. What we name inept of civilization or a civilizing process we call “acculturation”, and its rejection and denial is a rejection of our most basic beliefs and theologies, which provide mechanisms that oversee the “live cultures” that inform our critical responses to events and “crises.” The question is if we can start to cringe, not at the “reality” of the arrival of refugees, but at our response to it. Jason Alvis is a fellow at the Institute for Philosophy at the University of Vienna and a contributing editor to The Journal for Cultural and Religious Studies.